A former classroom teacher, Shirley McPhillips has also worked as a literacy staff developer, writing consultant, educational writer, and poet. For several years she was affiliated with The Reading and Writing Project at Teachers College, Columbia University in New York City. Currently she is a member of the Writers Council of the National Writing Project. In 2000, Shirley coauthored with prize-winning poet and memoirist Nick Flynn A Note Slipped Under the Door: Teaching from Poems We Love (Stenhouse), which focused on writing craft and mentor texts. Shirley’s more recent professional book, Poem Central: Word Journeys with Readers and Writers (Stenhouse 2014), helps teachers bring poetry into their lives and the lives of their students through close reading and writing of poems. Shirley serves as Poet Laureate for Choice Literacy online (choiceliteracy.com) where she publishes original poems and essays. Her poems have found homes in places such as the Sewanee Review, Journal of New Jersey Poets, Edison Literary Review, Poets Online, and in several anthologies. In 2016, Shirley’s new book of poems, Acrylic Angel of Fate (Finishing Line Press), made its debut. She is at work on another collection, tentatively titled Mapping the Labyrinth. 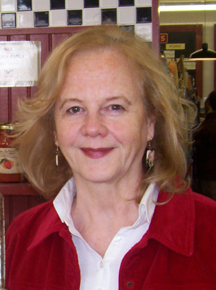 In a 2015 radio interview with Tanya Baker of the National Writing Project, Shirley talks about her life in and with poetry, and her work with young readers and makers of poems.